Kitco carries a select inventory of the best bullion products from the world’s most respected sovereign and private bullion mints. One set of bullion mints are often called government mints or sometimes sovereign mints due to the fact that they are owned and their products are guaranteed by their respective national governments. A bullion mint issues physical precious metal products from collectible to investment grade coins and bars ranging in various sizes, purities, and shapes. Bullion Mints are divided into 2 categories: government mints and private mints. The varying prices and bid / ask premiums for certain bullion coins and bullion bars is heavily influenced by the bullion mint from which they derive. Collectible Proof Coins are typically low mintage even limited mintage coins struck with to commemorate significant native animals, events, historic figures, cultural icons, etc. The aim of most government issued proof coins it to couple flawless beauty and scarcity together to create coin collector demand and higher price premiums. It is for this reason that the majority of collector coins are struck with precious metals like gold, silver, and even platinum. Circulating Coinage are the common cupronickel coins used in a country for daily transactions. 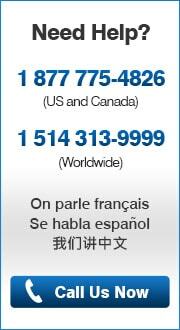 For example in the United States we use 1¢ pennies, 5¢ nickels, 10¢ dimes, 25¢ quarters, etc. in order to make change. In general cupronickel circulating coinage is comprised of nickel, zinc, and copper with a metal melt value well below their legal tender face value. Typically also a nation lawfully prohibits from being melted down for raw industrial usage. Bullion Coins are higher mintage precious metal coins intended for long term investors and collectors typically struck with silver, gold, platinum, and even palladium (Royal Canadian Mint). Bullion mint coins vary in size from as small as 1 gram to as large as a multiple kilo sizes. The most common size bullion coins contain 1 troy ounce of precious metal. Bullion coins usually are minted with legal tender face values giving them the possibility to be used explicitly in enforceable transactions with their nation of issuance. It is very rare to have government mint bullion coins circulate. More often than not investment grade bullion coins are held for safe haven savings. Government mint bullion coins typically demand higher prices per ounce compared to private mint rounds due to bullion coin’s government guarantee, higher production costs, and better general mint brand recognition. A select few government mints strike precious metal bullion bars. The Royal Canadian Mint and Australia’s Perth Mint both strike bullion bars made of fine silver or gold in various sizes. Government mint bullion bars typically demand higher prices per ounce compared to private mint bars due to government bullion bar guarantees, higher production costs, and better general mint brand recognition. 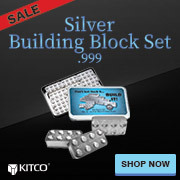 Kitco Metals, a silver and gold dealer, carries a select inventory of the best bullion products from the world’s most respected national mints. The other set of bullion mints are typically privately held, owned, and managed. Within the bullion industry they are often referred to as private mints. Private mint bullion bar and round examples include Republic Metals Corporation) (RMC Mint), Sunshine Minting (SMI Mint), Golden State Mint, Johnson Matthey, and PAMP Suisse (PAMP). By bullion industry definition, a private mint ‘round’ is a coin-like product typically made of fine precious metals like silver. In general private mint bullion rounds have lower prices per ounce compared to government mint coins due to lower production costs and lessor mint brand recognition especially to industry outsiders. Ranging in sizes as small as 1 gram to 400 oz sizes, private mint bullion bars generally cost less per ounce compared to government mint bullion bars. This is mainly due to private mint bullion bars lower production costs and lessor mint brand recognition especially to industry outsiders. 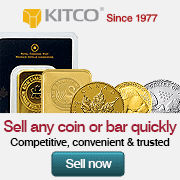 Kitco Metals, a trusted silver and gold dealer, carries a select inventory of the best bullion products from the world’s most respected private bullion mints.